I’m a futuristic person and am always thinking about what next. I can tell you more about what I plan on doing in the summer than in the next five minutes. Lately, my thoughts are constantly drawn to the two words: Five months. The amount of time I have left on this beautiful continent. There’s so many places I want to see; so many things I want to do, and unfortunately only so much time to do so. As per usual I’ve brought upon myself unneeded stress over contemplating what I want to do with my remaining time, trying to plan out the best possible path. With that being said I won’t get there if I don’t accept that no matter how much I plan or how much money I save, the future is unpredictable to a certain degree. Planning and organizing is great, I mean it’s gotten me quite far in life so far, but I feel like it’s time to let loose a little, and just live. I don’t want to look back on these next 5 months and regret that I didn’t take opportunities and enjoy my life here. How many times have you heard your parents say “It seems like it was just yesterday that you were a baby”. I never understood why it was such a reoccurring statement until I grew up which what seemed like, in a blink of an eye. Life is short, theres no doubt about it, which is why I need to live for now; not yesterday, not tomorrow but where I am today. I’m slowly starting to learn and feel comfortable with living in the moment, but I must admit it’s taken longer than I thought. When most people may find things such as TV, sports or video games to fill their free time … I think; often over think. 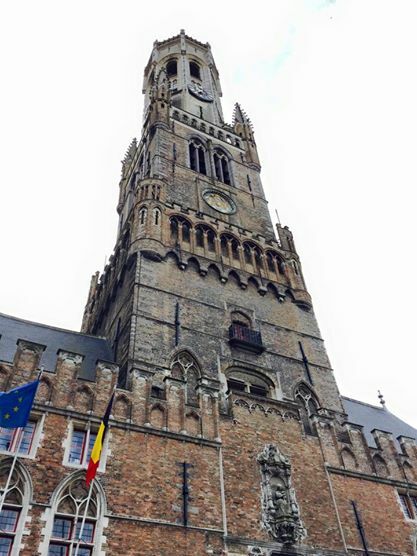 Last Thursday I saw an event for a trip to Bruges for the low price of 80 euros. At first I bypassed it and kept scrolling down my page. I knew that that 80 euros I could save and use for my summer trip I’ve been planning which seemed quite logical. Then I thought to myself, why wouldn’t I take an opportunity that’s put in front of me? I didn’t have any plans for the weekend and would have sat home and complained of boredom. Secondly I knew I had the funds to do so and the desire. I proceeded to message Courtney to see if she’d be up for the trip, which honestly I already knew the answer to. 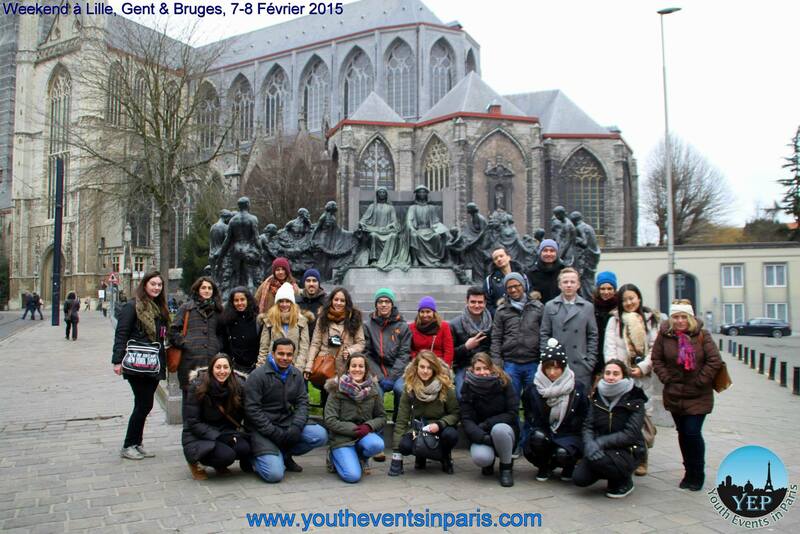 20 minutes later Courtney and I were booked for a weekend trip to Bruges alongside a group of other youth in Paris. After our bus trip to Amsterdam we had said that we would never take a bus again but when opportunities present themselves, you take them. The bus was small and cramped but for the price we couldn’t go wrong. We stopped in Lille for a few hours which didn’t seem to have much to see or really do, but it gave us a chance to stretch our feet. Oh, and to warm up… the heat on the bus seemed to be nonexistent. 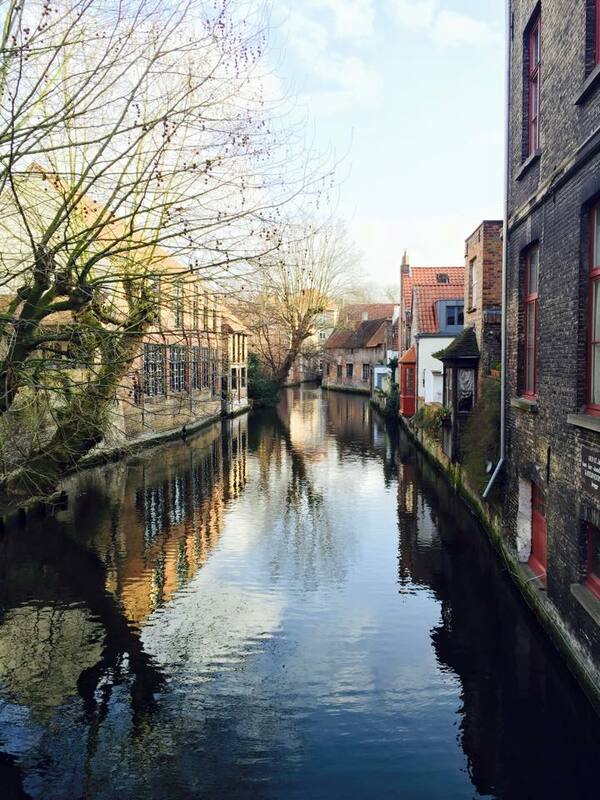 The next stop was Ghent which was gorgeous! I can only imagine what it would be like in summer with the canals and cobblestone streets. We met a Irish lad on the bus who ended up spending the rest of the trip with us. I’m not sure if it’s just the Irish people that I have met or not, but they have all been beyond friendly. I can see why my aunt fell in love with one. 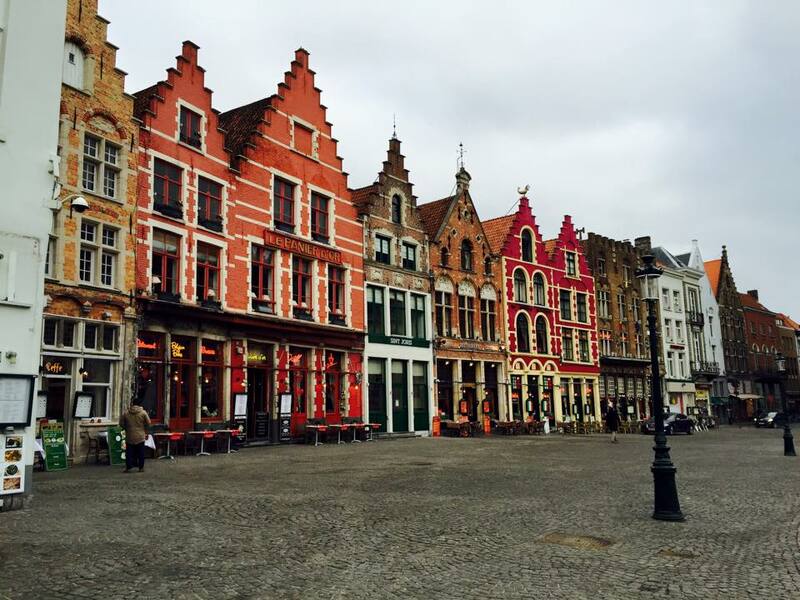 We ended our trip in the quant city of Bruges. I had read that it was one of the most beautiful cities in Europe, and truth be told it didn’t disappoint. Yes, it was ridiculously cold, but the architecture was gorgeous! As far as trying to live in the moment, this life change has been by far what I needed. The past no longer is a worry and I’ve finally accepted that what’s in the past, is just that, in the past and can’t be changed. Slowly I’m seeing that by living in the moment, I’m living life to the fullest. My view on the future is simply an illusion as life hardly ever goes as planned. Of course I have dreams and goals that I wish to attain but I won’t get there unless I live for now and allow life to create it’s own path. Everyone’s initial thought when they are told that their flight is cancelled is going to be a let down, disappointment and pure frustration because we’re human, we have emotions. I’ve currently been sitting at this airport for the past 7 hours with no intentions on leaving anytime soon. I’ve been told when my next connection flight will be which is unfortunately over a day later than planned but there’s a good chance that I’ll be spending the night in this airport along with the other frustrated passengers. Of course this messes everything up with my arrival in Paris as I now will be coming into CDG a whole day later (the day i’m supposed to start work). I guess this means my first day of work is going to consist of a not so good performance from me. Sorry P. More than likely I’m not going to sleep and on top of that there’s the jet lag, but staying positive is the key. Seriously though what will negativity do to this situation? 1. It’s not the ladies fault sitting at the desk that this plane had mechanical issues making me miss my connection. 2. I get to stay longer in an airport with TIm Hortons, boo yeah! 3. I’m creating interesting memories because no one wants to hear about a boring story. 4. The longer i’m around Canadians the better. I’ve met so many people just by sitting here waiting for our flight. 5. There’s a good chance I will be staying all day in Montreal tomorrow in a hotel so once again, a story! Surprisingly I haven’t been “bored” yet. Now everyone’s description of what that means is obviously going to be different but i’ve been able to find things to keep myself occupied. How long this will last is another question, but until then i’m going to keep the positive vibes flowing. All I can say is thank god for free wi-fi. I’m able to blog, keep in contact with my family and actually have started a few introductory courses of my nutrition program i’m starting in march! With every unexpected situation you have two choices. You can complain and be negative about the problem or take it as a opportunity to create memories to last a lifetime. Okay, maybe spending 2 days in an airport isn’t quite a memory but it’s defiantly the first time that I have had any issues with travelling. What do you do when you’re stuck in an airport? the words in sure a lot of us hear growing up. We try and live life without any regrets but of course there are times when you wish you could change your past actions or at least I know I have. Like many girls I fought with my mother through my teenage years and every time we would argue those words would come from her mouth – you’ll regret this someday . That someday I’ve realized is now. Looking back the constant arguments or indifference’s we had are now irrelevant in my current life and were at the time to be honest. Did It really matter that my mom was always late when we had to be somewhere? Not really, I always got there. Was it such a big deal not to be “allowed” (more like it was frowned upon) to have a boyfriend at 14? Why I wanted to rush my youth is beyond me, so no i survived. I realize that I took her love for granted as if every mother was obligated to show so much care for her children but that was and is completely false. My mother was there for me no matter when I needed her, heck she’s still here for me now even across the ocean and in different time zones. Even when she would be the only mother cheering in the crowds for me I would pick a fight, but why? I should have been appreciative she was there sitting in the crowd proud of her daughter on the field. Of course now when I can’t have those joyous memories, they are all I want. It seems we always want the things in life at the times when we cannot have them. As the french would say; C’est la vie. Growing up I was not an open child and I had a hard time expressing myself to people in general, especially my mom. I couldn’t let the one woman who I wanted be a splitting image of more than anything know my flaws and problems I was going through.I can’t pin point why i didn’t put more effort in the past into creating a good relationship with the person I look up to the most in life, but I can only learn from my mistakes. I’ve heard many times that we get along better with people unlike ourselves, so in a way I hope that was one of the reasons because even having some of the attributes as my mother would be a blessing. I can come up with many irrelevant excuses but they can take back the time I’ve already lost. I love my mom more than anything in the world, and consider her to be my largest role model. I an only dream to be someday as successful in life and the proud and caring mother she is day in and day out. Being alone across the ocean without a physical mother is hard. There are days when I just want to run up to her like when I was a little girl and jump into her arms which is quite frankly impossible in the current situation. Thankfully I can pick up the phone and at least hear her voice. In the late hours when I’m walking home from the last metro in the pitch black, my mom will take the time to make sure I’m home safely. She’s still protecting me even when she’s not physically able to, and now finally I realize how lucky I am. I can’t change the past but I sure can start a great path for the future which is what I intend to do. If I could give any advice to teenage girls out there currently finding themselves in a constant battle with their mothers would be to simply STOP. It’s not worth it, and yes more than likely you will regret it someday.